Photoshoots for newborns are done in the safe and comfy surroundings of my studio, ideally within the first 2 weeks of your baby’s arrival. This is when he/she will be sleepy and easy to pose. I supply a variety of safe* props, outfits, blankets and wraps for you to choose from. These photoshoots cannot be rushed and may take up to 4 hours. There’s plenty of time for cuddles and catering to all of your baby’s needs; I also make sure that Mums and Dads are comfortable with tea and biscuits throughout the session. 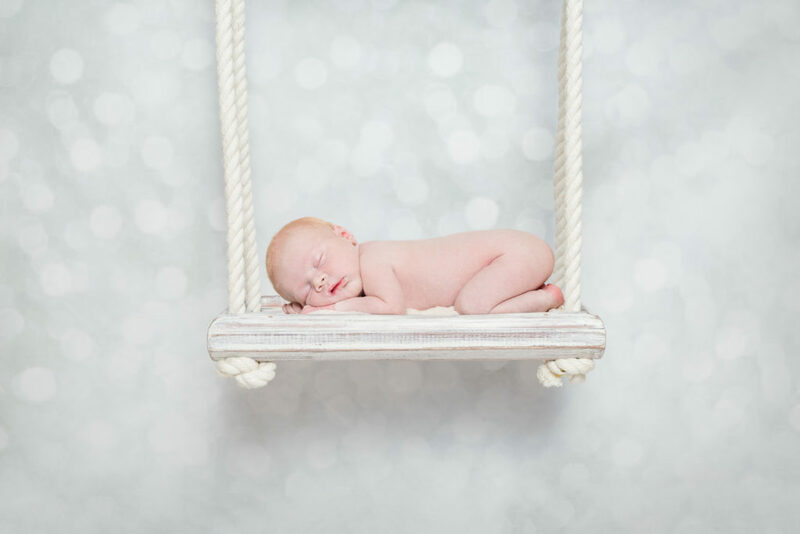 *Baby Posing Safety: Your baby’s safety is paramount, so I have strict guidelines when it comes to posing your newborn. I will never attempt a pose or to use any props if I feel that your baby is too alert, unsettled or becoming distressed. This is particularly important for babies over 2 weeks old, who are likely to be more aware. In these circumstances I will do my utmost to take photos but cannot guarantee any specific quantity of high quality images. Your assistance will also be required in the interest of safety.